"The stockings were hung by the chimney with care!" Nothing is better than waking up on Christmas morning only to be overjoyed upon discovering the bounty inside of one's stocking. A Christmas tree, with stockings near by, creates a place for families to gather around, exchange stories, share presents, and create many memories and traditions for years to come. 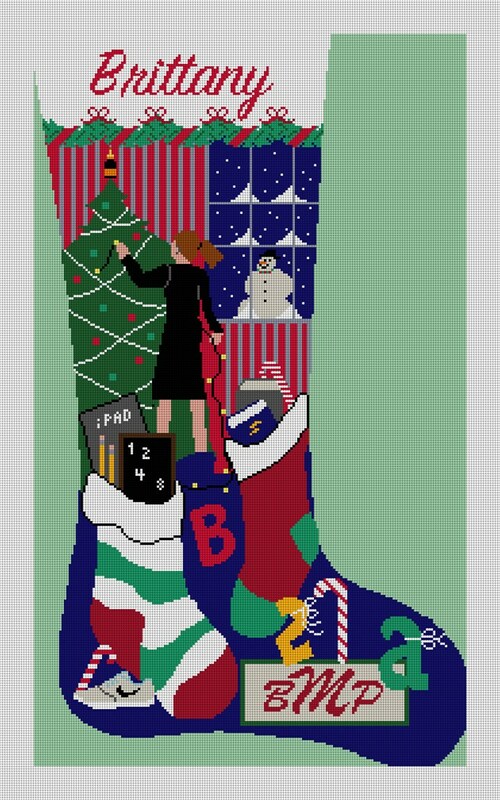 A stocking is an essential part of any Christmas tradition, and is best when stitched by a loved one, or yourself.